The benefits of learning a musical instrument in the mature stages of life are widely known. 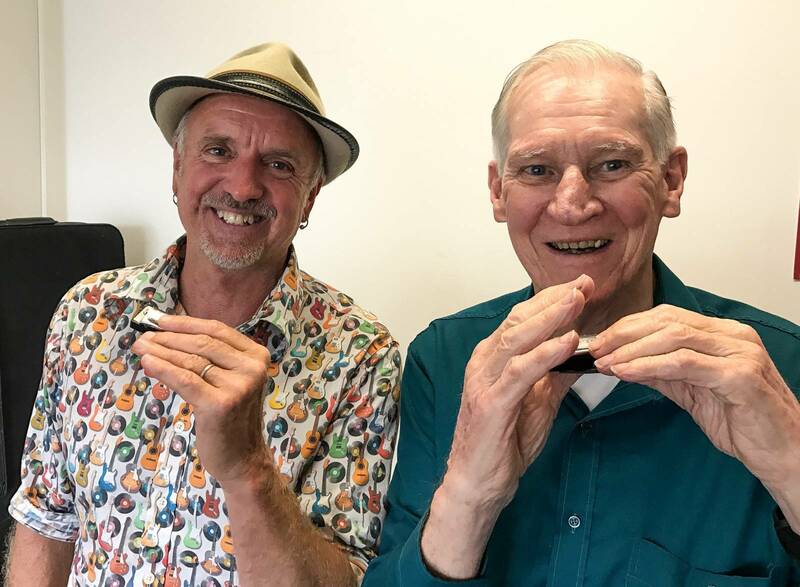 Harmonica is perfect for this, as it is portable, inexpensive, and easy to play in a basic way almost immediately. Recently 87 year old John (pictured below with Mr Harmony) attended one of our workshops and absolutely loved it, and was amazed at what he could play after only a two and a half hour session.